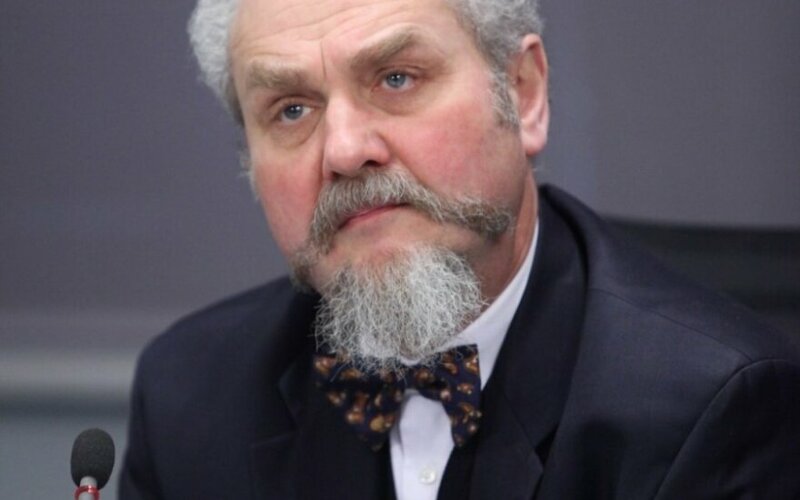 The source of current problems in Russia - and, by extension, perturbations in Central and Eastern Europe - is the fact that the Russian society failed to cut all ties with the soviet past back in the 1990s, says Russian historian Andrey Zubov. In an interview to DELFI, Zubov talks about the current situation in Russia, sympathies felt by the European right towards Vladmir Putin and prevailing moods in the Russian society. "People lived their lives and didn't bother about anything - as long as oil price was high, Russia lived rather well. Most people were satisfied with what they had, no one wanted to hear anything," the historian says. "But in 2014 the moment of truth came and everything that they failed to do in 1991-1993 came back." 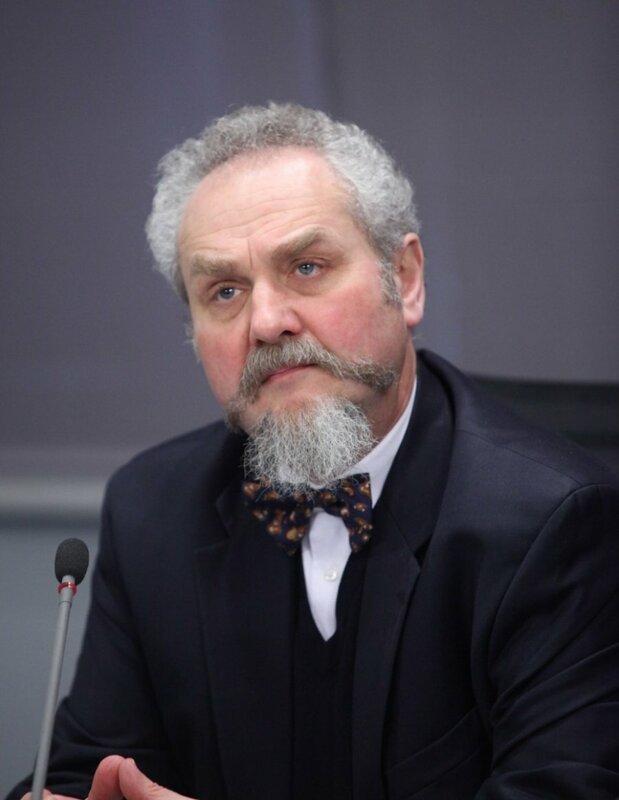 Andrey Zubov is taking part in forum discussion "Russia and the West: Reality and Perspectives" in Vilnius, organized by the Ministry of Foreign Affairs and the Eastern Europe Studies Centre. In your recent interview to Radio Svoboda, you gave a grim view on the future perspectives of Russia. Why? They have really exaggerated it, in fact many people are talking about grim perspectives, but this is not how I see the future of Russia. It will ambivalent and depend on people's reaction, on the will of the people, because Russia now has two options before her that probably have never been so clear since the collapse of communism. Unfortunately, many Russians who had lived in oppression failed to spot that all those 25 years they were essentially living in a non-country. A country that failed to bid farewell to its soviet past, unlike Lithuania and all the Central European nations that freed themselves from communism. The same soviet elite still runs the country, redistributing wealth that the Bolshevik government took after the 1917 revolution. The current Russian leadership does not even dream of returning that property to legitimate owners - not even parts of it. Russia has not carried out lustration and people who used to be KGB generals and colonels, chairmen of the Communist Party Central Committee and Komsomol - they still run the country, occupy high and honourable positions in all walks of life. Nothing was done about it. People lived their lives and didn't bother about anything - as long as oil price was high, Russia lived rather well. Most people were satisfied with what they had, no one wanted to hear anything. I warned 20 years ago that this way was taking us towards catastrophe, because unless you root out the totalitarian regime completely, you simply cannot expect that it won't come back. People failed to realize that, they lived one day at a time, quite understandably. After all, following so many years of soviet dictatorship, poverty and moral pain, they were obviously fascinated by the freedom to earn money, to get information, to travel abroad and enjoy freedom of speech. Understandable, but short-sighted nonetheless. So in 2014 the moment of truth came and everything that they had failed to do in 1991-1993 came back. We are witnessing the return of the soviet order - this time, however, not as communism, but in the guise of corporate fascist government. Let me make it clear - not nazi, but fascist, because we do not have racial policies. The government is authoritarian, with a predilection for totalitarianism. There are two ways out of it, so I am not unduly pessimistic. Everything has come to life, become clearer, and people themselves have to decide what they want: either they like authoritarian government that feeds them with sweet fairytales about the resurrection of the empire (which, in fact, never rose and never will, just like the empires of Spain, Austria or Britain cannot be resurrected); or they want to start building a normal, modern, European, democratic market economy state that will have all opportunities open to it. In other words, it is time to make the choice. Everything will depend on what the nation chooses. It seems that, the critical part of the Russian society notwithstanding, the majority supports the current government and its policies. That cannot be explained away by propaganda alone. What's the reason for such widespread support? There are several aspects to it. First, figures published by even respectable institutions like the Levada Center do not take into account the fear factor, because it is beyond the grasp of sociological enquiry. Moreover, this fear has less to do with the current atrocities, which are not very widespread, than with the resurgent sovieticity, with memories about what happened in the soviet era. People remember horrible events back then and think that the same can happen again, at any moment. They feel it with their entire bodies. First, the fear of revolution is seated deep in Russian hearts - they are afraid of what was happening between 1917 and the 1930s. Second, there's the fear of soviet repressions. Everyone is afraid of that, so whenever the question of trusting Putin comes up or when they are asked how they voted in elections, this is what they think: "Who is this person asking me this? Is he really from the Levada Ceter, or can he be from the FSB? Perhaps I should tell him I will vote for Putin - who cares, really, he'll get off my back and that's that! Otherwise I could get fired or, god forbid, something worse might happen." So all their answers are skewed by fear, while what Russians actually think about their government is completely different now from what it was last September, because people have experienced first-hand what it means to be hit economically, our money losing value and goods going off the shelves. They cannot continue to cheer Putin as enthusiastically as before. That is obvious. On the other hand, there is one more long-term factor. All these 25 years since the collapse of the soviet government, people in Russia felt lost, especially in the 1990s. They were given freedom, but not economic opportunity. Let me remind you that, in the soviet era, people did not have their own sources of income, everyone was living on government-paid salaries, and when communist regimes in Central Europe and the Baltic states ended, they implemented substantial ownership rights restitution programmes. It was a complicated process, in part related to property restitution, privatization of securities, which made many feel like they were owners, they actually became owners and so spelled the end of the proletarian soviet societies in those countries. In Russia, Ukraine, Belarus and Kazakhstan they did not end. Everything stayed just the way it had been under the soviet government - a small fraction of people run everything and the majority have nothing at all. This is why people did not feel that the new freedom was worth anything. Intellectuals appreciated the freedom. Ordinary people value economic results that weren't there. There were some under Putin, mostly because of the oil money, but there is no true economic base, therefore people support Putin's regime, because they can recall that, unlike under Yeltsin, they lived decently under Putin, even though they do not recall the source of their decent living. The standards of living rose not because they were given opportunities to work, own property and derive income from it, but only because they were let in on a little share of the oil money. This is why Putin is popular. People are afraid that someone else, someone like Yeltsin, won't share with them - but now Putin won't share either, because there is nothing to share. Disillusionment with Putin and his policies is nearing. At the moment, it is important to explain to Russians why their hopes pinned on Putin were unjustified. How would you explain Putin sympathies among Europe's far-right parties? It is a serious question. I'd even say it is one of deep political psychology. The key aspect here is that these forces are unhappy with their situation in the EU, where the right is obviously marginalized (although so is the extreme left). They realize that within the EU and its value system, which does not reject nationalism and the class factor as engines, they have no future. For his part, Putin offers a version of conservative Russian nationalism, based on a rather narrow reading of religious values, which differs from the communist stalinist nationalism. This form of nationalism seems like a good alternative to the EU path and provides opportunities for politicians who are currently marginalized in Europe. This is why these people have sympathies for Putin, who reciprocates. This gives rise to a weird form of the international that the world has not seen before. As a historian, I can vouch for that. Those on the right and left, for their part, appeal to the old values like race, national culture, historic religion, class, the glorious past of their nations, etc. This means that we are dealing here with a clash of two value systems - personal and group. The contemporary West gives primacy to the personal, while European marginals on the right and left champion one or another group. Putin's thinking makes him a man of group culture from early-twentieth-century totalitarian regimes. Moreover, the class view that was taught in KGB schools has morphed into the nationalist view which was in vogue in the circles of [Yuri] Andropov, who came to be Putin's mentor, in the late 1970s. Everything else stayed the same, soviet style. He finds the contemporary West disagreeable and incomprehensible, while extreme right and extreme left politicians from the West are comprehensible, if not very agreeable. Journalist Leonid Parfenov has noted that most of the Russian citizenry is made up of people who grew up in the soviet era, therefore their history is the uninterrupted history of the USSR plus the latest Russian period. So they have little in common with the pre-revolutionary Russia. You also speak of a discontinuity. What ways do you see out of this soviet discourse and are they realistic? The way out is very simple and at the same time complex. Theoretically, it is simple enough, the complexity is, as always, in practical implementation. We need to do what wasn't done in 1991 - and what retired Boris Yeltsin regretted when he was dictating his "The Presidential Marathon". We had to declare continuity with pre-communist Russia, which means lustration and property restitution. These kinds of things encourage ordinary people to take interest in their forebears who lived before the revolution. This would have meant a bridge to the past, it's very important. In 1990, we didn't even start to build this bridge. We need to do it now. There is no other way, because education, explanations, films are only side-dishes. There needs to be something that could directly and solidly connect contemporary Russians with the past - and that something is juristic continuity which, in turn, leads to property rights restitution and lustration. This is the only way to root out totalitarian mentality from the minds of the people who (half of them or even more) think Stalin was the most glorious man in Russian history. But this requires immense political resolve, power and mastery. The current government does not show any intention and no one knows which group in the current opposition would be up for the task of creating such a programme, convincingly explaining it to the society and following through with it. No one knows when such a group could come to power democratically. When such a government appears, it will undoubtedly deserve to be remembered as the force that resurrected the real Russia.